There are currently 253 people online. 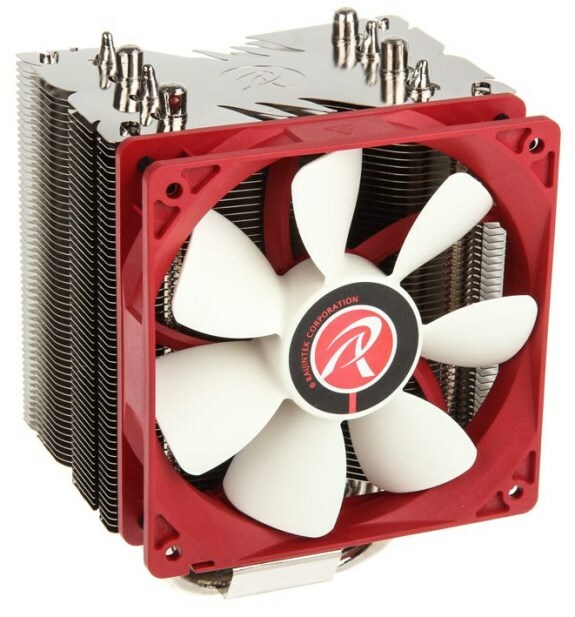 Raijintek introduces the Nemesis & Themis EVO CPU coolers. Nemesis features a nickel-plated copper base and five 8mm heatpipes that dissipate the heat to two aluminium fin arrays. 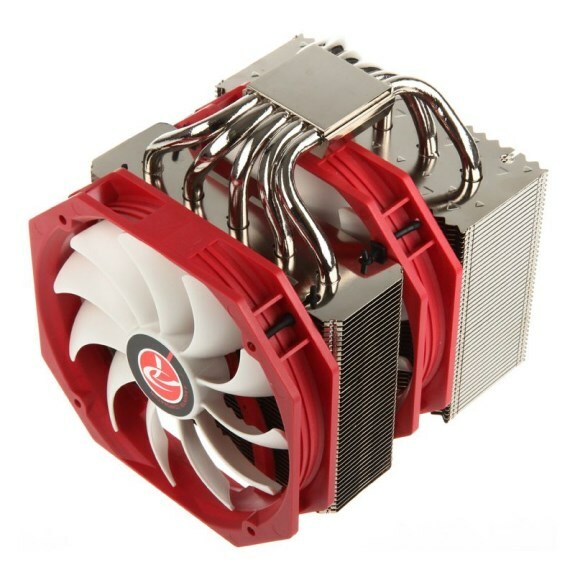 It measures 140mm x 130mm x 166.5mm (W x D x H) and features two 140mm fans with a max noise level of 23dBA. 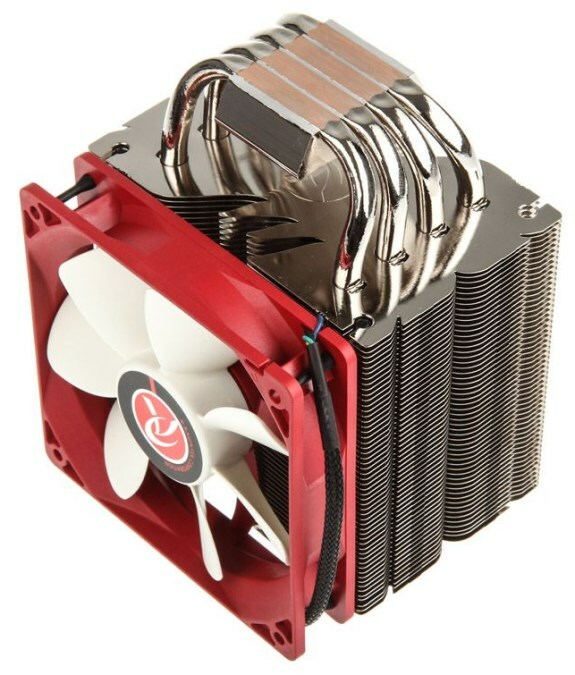 This massive cooler weighs 1050g. Themis EVO on the other hand is a somewhat smaller version, it measures 122mm x 82mm x 165mm (W x D x H) and weighs 614g. This model has four direct-touch 8mm copper heatpipes and features a single aluminium fin array that's cooled by a 120mm fan with a max noise level of 24.53dBA. The MSRP for Nemesis is 59.90EUR (incl. VAT) and the Themis EVO has a suggested pricing of 32.90EUR (incl. VAT). The Raijintek Nemesis, is the Halo CPU air cooler available from Raijintek. 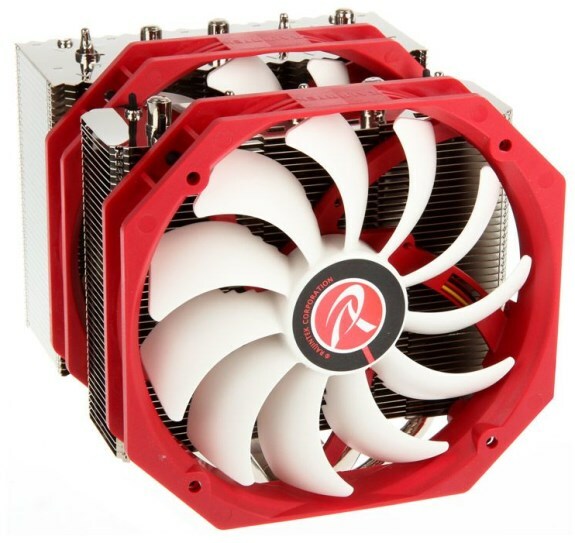 Equipped with two 140mm fans the Nemesis is designed for ultra high end overclocking applications. With a multitude of socket compatibility and excellent heat dissipation, managing over 200Watts easily. Six 8mm heatpipes allow for superior cooling performance and with the fans pre-installed the Nemesis is quick to mount too. The Nemesis can cool even the most demanding of CPU setups and applications. The Raijintek Themis EVO builds on the success of the previous Themis CPU Cooler. Offering nickel plated copper construction and a larger heatsink for a bigger area of heat dissipation. Delivering solid cooling performance is a range of CPU socket types. The Themis EVO packs a total of four 8mm heatpipes to efficiently dissipate heat form the CPU, allowing for a cooling operating temperature. Designed for high end applications the Themis EVO is redefining CPU aircooling. Both the Nemesis and Themis EVO feature trademark German engineering that has defined Raijintek in the market. Signature Red and white fans adorn both CPU coolers adding a stylish flair amongst the uber efficient CPU Coolers.